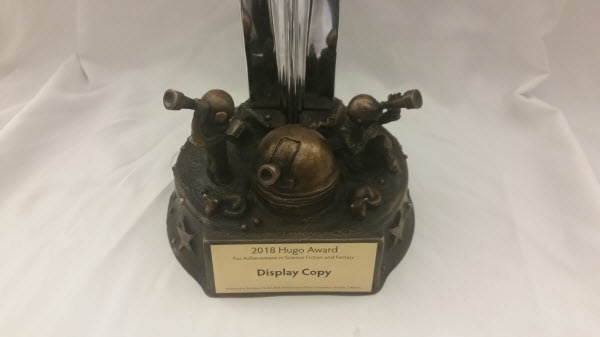 The official Hugo Awards site has posted photos of the display Hugo that was shown at Opening Ceremonies. The base design is by Sara Felix and Vincent Villafranca. What a beauty! 2018 HUGO BASE. 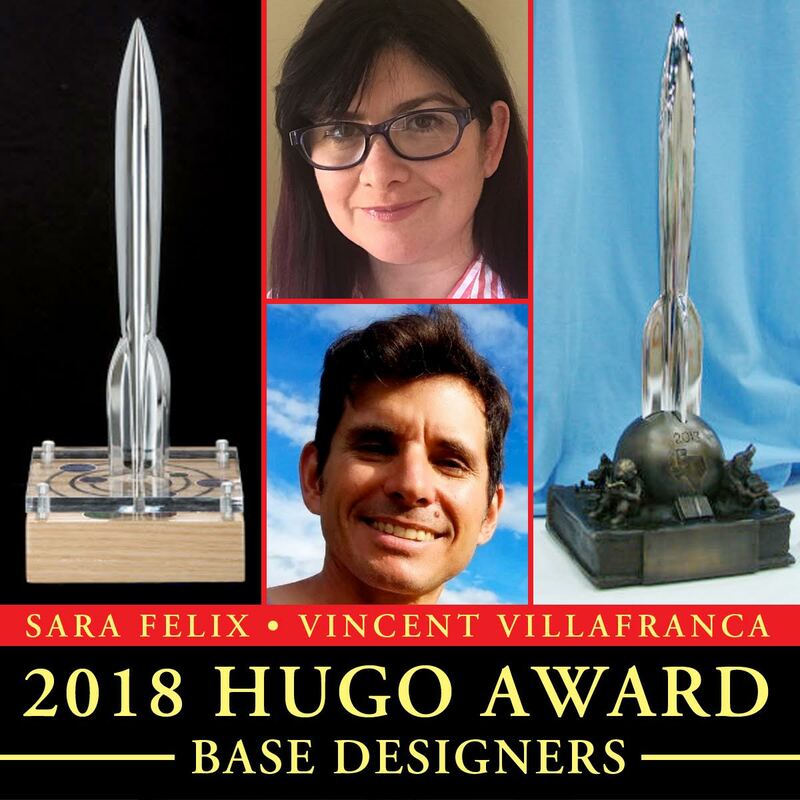 Sara Felix and Vincent Villafranca are collaborating to create the 2018 Hugo Award base. Each artist individually has created a past Hugo base. Sara Felix of Austin, who is also the current president of the Association of Science Fiction and Fantasy Artists, created the 2016 MidAmeriCon II Hugo base. 1943 RETRO HUGO BASE. The 1943 Retrospective Hugo Award base is being created by con chair Kevin Roche. 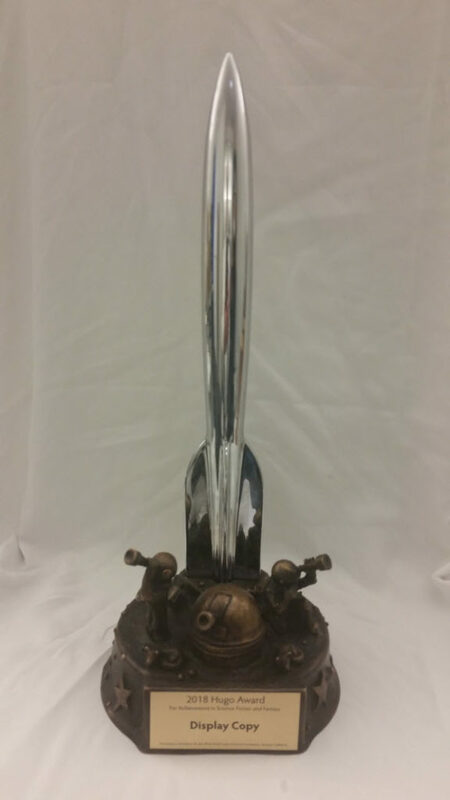 MidAmeriCon II has announced the winners of the contest to design and produce this year’s Hugo bases. The 2016 Hugo Award base will be created by Sara Felix of Austin, who is also the current president of the Association of Science Fiction and Fantasy Artists. 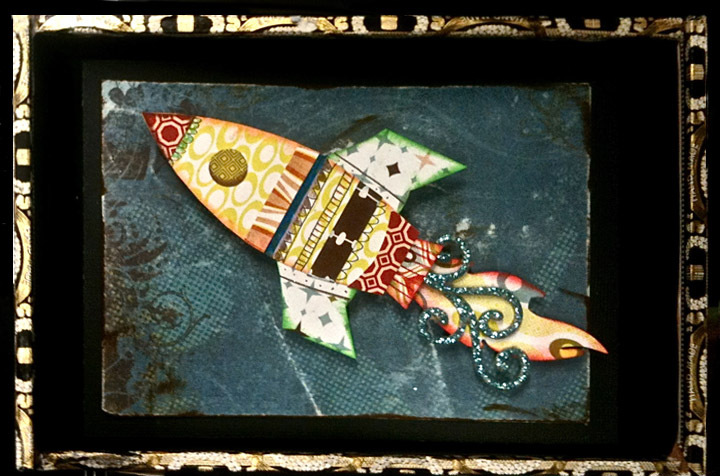 See examples of her work at DeviantArt, like the paper rocket below. The 1941 Retro Hugo Award base will be designed by Brent Simmons, an architectural designer and sf reader from Kansas City. The 2016 Hugo bases will be by Sara Felix! Visit her site to see some of her fantastic work. (3/4) https://t.co/eKvfhLCk2r? The Artist Showcase produced by Loncon 3, featuring biographies and artworks from the artists participating in the 2014 Worldcon Art Show, is now available in PDF format. 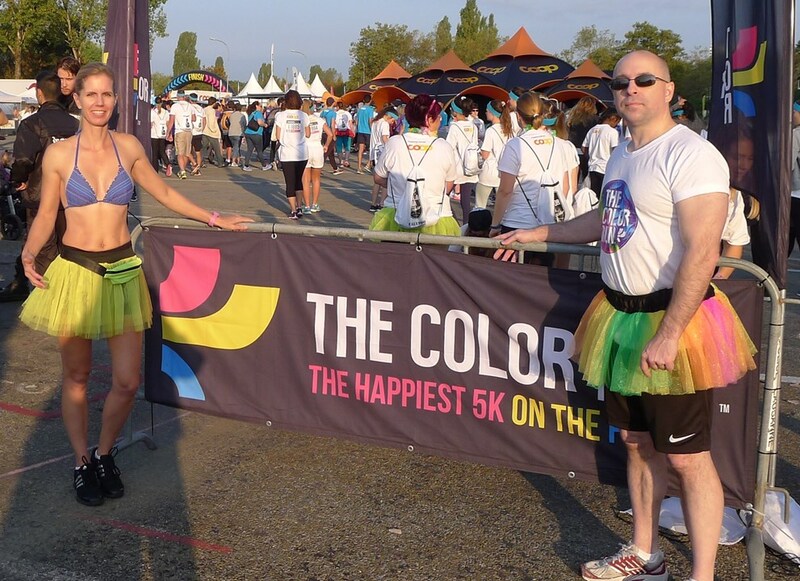 The 100-page publication, edited by Colin Harris and Sara Felix, was sold to members for £5 a copy.